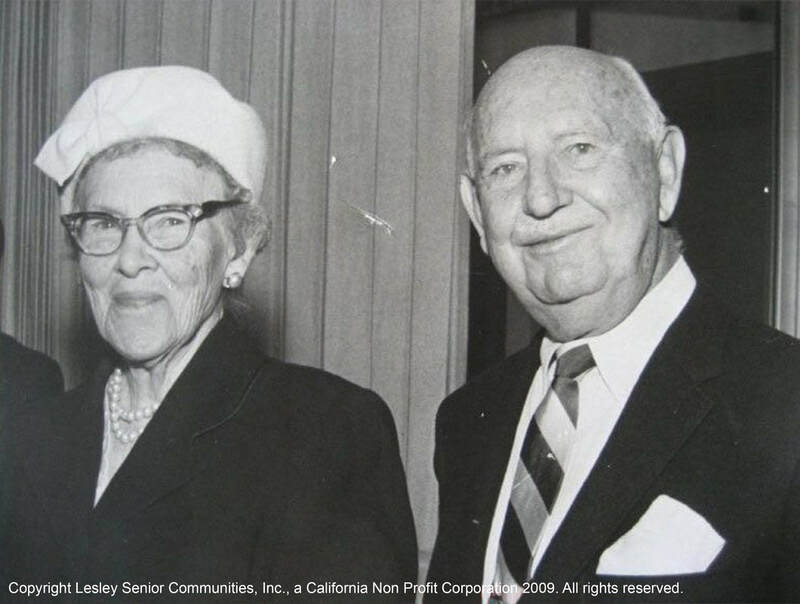 ​Lesley Senior Communities, formerly known as "The Lesley Foundation," is a California non-profit organization founded in 1944 by the late Albert J. Watson. Mr. Watson was dedicated to the San Mateo community and, following his retirement, devoted the last twenty years of his life to the development of this organization, which he named in honor of his wife, Lesley. Mr. Watson's goal was to provide attractive housing and related services to low-income senior citizens on a self-sustaining, non-profit basis. His legacy has been fulfilled, in partnership with the U.S. Department of Housing and Urban Development (HUD), by the construction of five facilities in San Mateo County: Lesley Plaza and Lesley Towers, located in San Mateo; Lesley Terrace in Belmont; and Lesley Gardens and Ocean View Plaza, located in Half Moon Bay. These buildings provide housing to over 500 seniors in the San Mateo area. At Lesley Senior Communities, we rededicate ourselves to our founder's goal every day. Ours is a commitment of excellence to our residents and to our community, which we consider paramount.